Everybody Is Posting Selfies But How Can You Get Better Selfies? Here’s A Little Tip. Here comes a new device to get the sexiest selfies ever! It is always noticed that people do extra efforts to get the best and the perfect selfies. The front camera of the phone plays a vital role in doing that. To assist this, a new device has been introduced for Iphone. This is the new Iphone fan that lets you have that epic wind-swept look and enhance your picture. It can be said that it is probably one of the perfect devices that has been created for improving or beautifying the selfies taken by a person. It allows one to go for that perfect blustery ‘at-one-with nature’ kinda look. 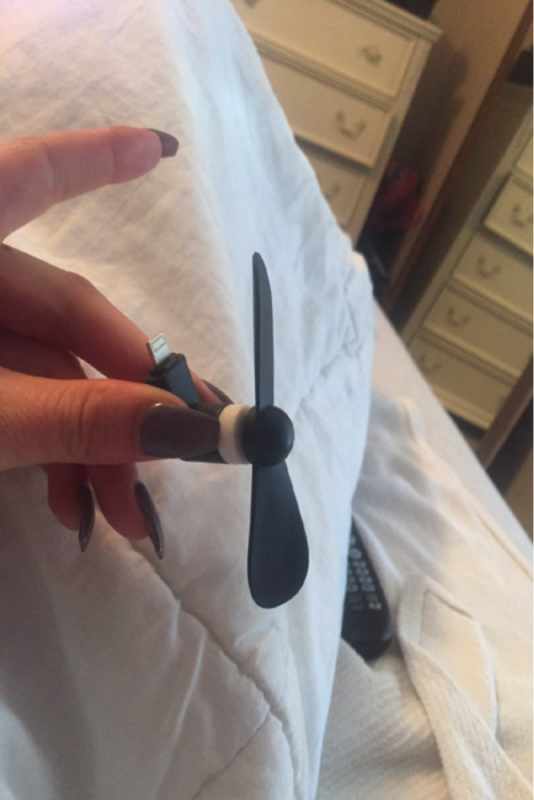 All one needs to do is plug it into the phone while taking selfie and it will blow his or her hair. In short, this new device introduced specifically for the purpose of improving the quality of selfie, is completely amazing and helps to achieve glory in the selfie-filled annals of Instagram history. At the same time, it has also gained a lot of popularity over Twitter – with a flurry of responses claiming to have rushed out and ordered the device. The attention and response that it has received from social media users is commendable and is counted among the best responses. Look Who Was Caught Having An Underwater Selfie!! You ll Be Surprised.